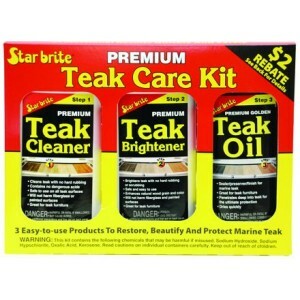 Starbrite's Teak Care kit has everything you need to clean, restore and protect your boat's teak. Starbrite's Teak Care kit has everything you need to clean, restore and protect your boat's teak. The kit includes one bottle each of: teak oil, brightener and cleaner.